I’ve been walking and exploring the Australian deserts since 1995 and so far, have journeyed over 20000 kilometres across all of Australia's nine major deserts either as a solo explorer or as leader of commercial camel expeditions with my trekking business, the Outback Camel Company. In 1999 I brought to fruition a 17 year dream of walking across Australia along The Tropic of Capricorn, a 229 day, 4637 kilometre journey raising funds for the Royal Flying Doctor Service. In 2007 I founded Australian Desert Expeditions, a Not-For-Profit Registered Environmental Organisation that partners with leading universities and national research institutions to conduct scientific & ecological surveys in the far reaches of the inland deserts. I believe that Australia's long cameleering exploration heritage can successfully partner with modern science to further our ecological knowledge of Australia's great arid wilderness. Since 1995 I’ve walked across the Simpson Desert - the worlds largest parallel sand ridge desert - 12 times in various directions, the latest solo journey being reconnxpedition, a 35 day, 700 kilometre crossing in 2012. On Australia Day 2015, I was honoured to be awarded the Medal of the Order of Australia (OAM), for service to environmental science, research and adventure tourism. "The desert deserves to be approached gently, so its mood is revealed. The way people have always approached the desert was on foot, as we have done today. That reveals the country - the continuum of country." Andrew has featured in numerous media articles, radio broadcasts and TV programs as spokesman for all the expeditions he has instigated and led for Australian Desert Expeditions and the Outback Camel Company, or as an author of articles about his solo journeys. He also had extensive national coverage during Capricorn Expedition 1999 including regular call-ins to local & national commercial radio stations. Below is a selection of media since 2000. ABC Alice Springs - Summer rain creates massive fly invasion. RM Williams Outback - Great Australians - 20 Living Legends Of The Bush. October. ABC Local Radio and Radio National - January 11. Trailblazers, with the Australian Museum. ABC Radio Conversations with Richard Fidler - March 7. ABC TV - 'Running Wild' - documentary exploring the history of camel expeditions in Australia, Afghan cameleers and the wild camel population. ABC Radio Rural - January 26. Order of Australia. Deniliquin Pastoral Times - February 13. Cleaning up the Edward River. Australian Geographic - March/April 2015. The Last Desert Cavalcade. ABC Radio National - Off Track - March 28. Walking the desert for science and silence. ABC Radio Brisbane - April 10. The Simpson Desert. Australian Museum Trailblazers Exhibition - November 2015 to July 2016. ABC Radio Perth - January 24. Tracks film release. ABC Radio Alice Springs - February 6. Tracks film release. ABC Radio North West, Western Australia - February 12. Tracks film release. 2GB Radio Sydney, The Travel Show - February 16. Desert bushwalking with camels. ABC Radio Goulburn Valley - February 25. Working with camels & Tracks film release. ABC Radio Riverina - March 20. Tracks film & remote desert expeditions. ABC Radio, Australia All Over - September 14. TC retires from desert trekking. Los Angeles Times - September 15. Tracks film release in the USA. GEO Magazine (Germany) - November Issue. ABC Radio Central West - October 31. ADE and walking with purpose. GeoNews. Bi-Monthly Newsletter of The Royal Geographical Society of South Australia. Vol 20 No 3. April/May 2013. Simpson Desert Transformations lecture review. ABC Radio National, Bush Telegraph, March 20. Feral cats in the Simpson Desert. Deniliquin Pastoral Times - February 26. River Rubbish. 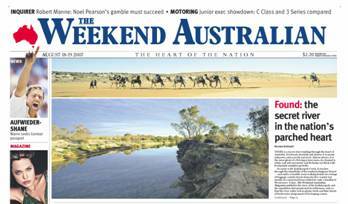 Deniliquin Pastoral Times - March 5. Clean Up Australia Day. Deniliquin Pastoral Times - June 12. Transformations Lecture, fundraising for the RFDS. ABC Local Radio Mildura-Swan Hill- January 20. 'Senseless Camel Shootings'. Sydney Morning Herald - January 17. 'Police probe stupid camel shootings'. Lake Eyre - A Journey Through The Heart of The Continent. Paul Lockyer. Australian Desert Expeditions ecological surveys. 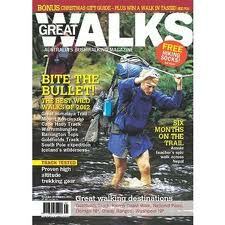 Great Walks Magazine - October/November 2011. Walking the Simpson Desert. ABC TV 7.30 Report- March 7. ABC Landline - August 29. Ecological fieldwork in the Simpson Desert. ABC 7.30 Report - August 18. Ecological fieldwork in the Simpson Desert. 60 Minutes - August 29. Burke & Wills 150th Anniversary. ABC Stateline Queensland - August 13. Ecological fieldwork in the Simpson Desert. Burke & Wills 150th Anniversary - speech at the commemorative celebrations in Melbourne. ABC Radio National, Science Show - July 17. ABC Radio National, Hindsight - November 21. ABC Radio National, Bush Telegraph - December 7. 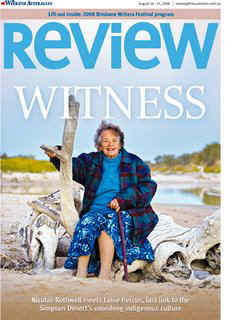 The Weekend Australian - June 19. WILD, Walking With Beasts by Quentin Chester, January 2010 issue of WILD Magazine an article about Australian Desert Expeditions and the effective and historical use of camels to explore the Australian deserts. 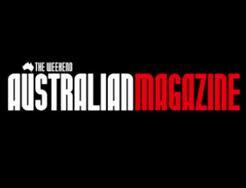 The Tourism Australia/Weekend Australian Calendar to promote the Baz Luhrmann Australia movie. 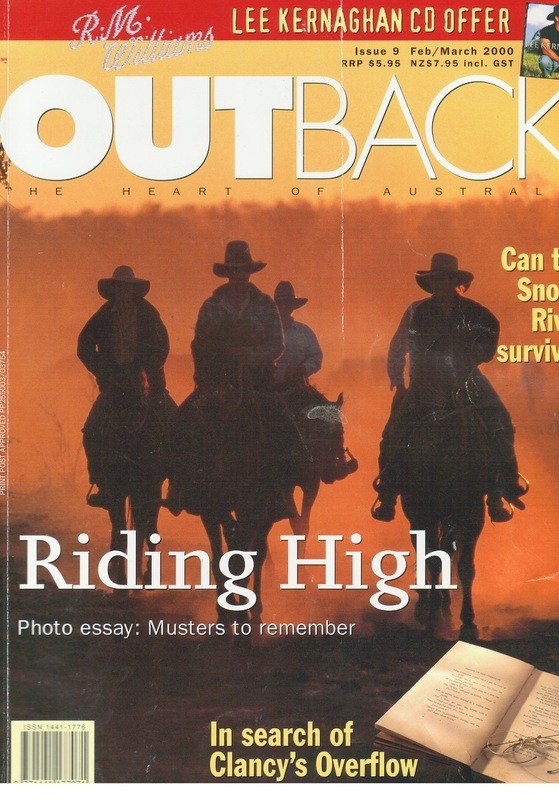 The October-December 2009 issue of Australian Geographic has an excellent article by writer Quentin Chester about the 2009 ADE Ornithological Trek in the eastern Simpson Desert. 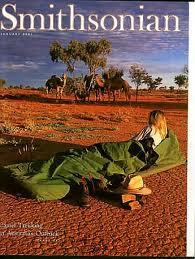 ADE Foundation Supporter Robyn Davidson's article about trekking in the Simpson Desert with ADE, 2008. 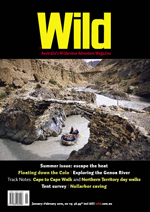 The Weekend Australian Magazine - Nicolas Rothwell's Article from the 2007 Arid Rivers Expedition, August 2007. Scoop Traveller - Desert Dream, Camel Trek Across Central Australia, Edition 3, 2007. RM WIlliams Outback - February/March. On foot across the Tanami Desert. ABC Radio - Australia All Over. Weekly broadcasts over 7 weeks from the Central Australian (Tanami) Expedition. Smithsonian Magazine - January. Trekking with the Outback Camel Company. RM Williams Outback - February/March & August/September. Capricorn Expedition.